The last two days I’ve been watching the Jasmine Star live seminars on Creative Live about wedding photography and I am getting very excited about my first wedding shoot in Florida coming in October. While it will be my first wedding shoot, I have gained a lot of confidence in my abilities over the last year and feel comfortable in taking on one of my friend’s wedding. What Creative Live and Jasmine Star are doing these past and coming few days is pretty incredible and invaluable to someone in my position, and wouldn’t be possible to do even a year or more ago. She has been incredibly honest in her approach to photography and that has been very refreshing and encouraged me to share more about what I’m doing here on my blog. There are a ton of photography resources that help demystify the art and it’s nice to see another photographer not afraid to share what they do. She is one of the Top 10 wedding photographers in the US and it shows. She’s incredibly energetic, positive, and professional. She does a great job and getting the images she needs out of her clients, it’s been great to watch and listen to her talk about what she does. I highly reccomend to watch today, if you’re not doing anything as they are broadcasting live, her shooting a wedding. I’m looking forward to it! Thanks to Chase Jarvis, Creative Live, and Jasmine Star for putting that on, you guys rock! What has been really interesting to see today was her use of natural light, and just the fact she is so great at what she does and she rarely uses external flash. She talked about hiding your light source, if there’s a natural reflector, like the sun hitting a floor through a window, just crop that out when you compose your image with your camera, that’s just her style though. I could see how there would be artistic value in certain cases to show a wider shot to include the floor. That was just one example of a topic she covered today, great stuff. Doing the 'sure' test while holding up the diffuse reflector. This reminds me of a Smore . . . with a human head in it. These were shot in my Mom’s garage, and I was able to make the background black by ramping up the flash. I used my Canon 7D and a single 580 EX2 flash strung from overhead. 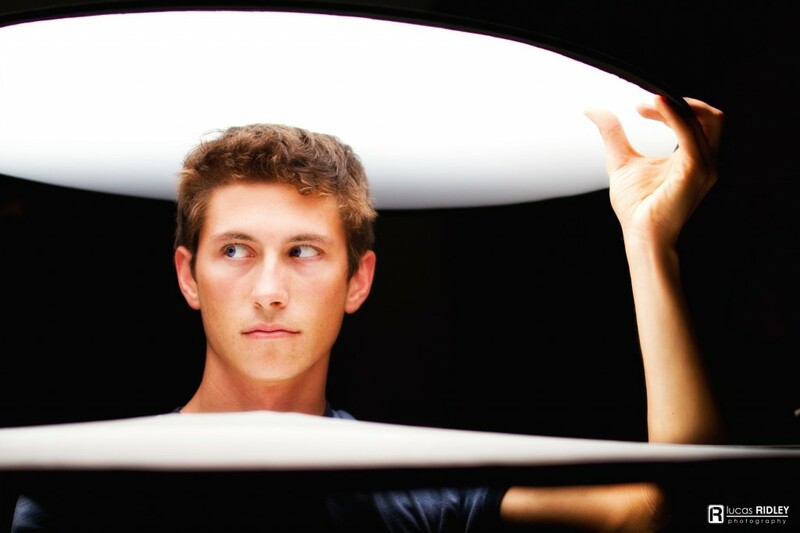 Then I held two reflectors: one I bought on ebay for cheap, the other is a really nice 5-in-1 reflector from Westcott. I enjoyed experimenting with using both, only one, and the distance between them. Notice the huge difference between these two images with just changing where the reflectors are. Both used the smaller diffuse reflector above to spread the light of the flash out and make it softer, but the distance between the reflector and the flash changed between each shot. Also, the larger, Westcott reflector was used in each with the white side up to bounce light back to fill in the shadows, again at varying distances to the light source, and also at different angles. The top image I held it to the side and the bottom I held it flat under my chin. I enjoyed seeing the huge differences that simple adjustments to these reflectors made on the image! I did a little work on them in photoshop, but not much. this is so cool!!! did you buy the the whole series of the Jasmine Start Building your wedding photography business? I wish I could watch the whole thing!